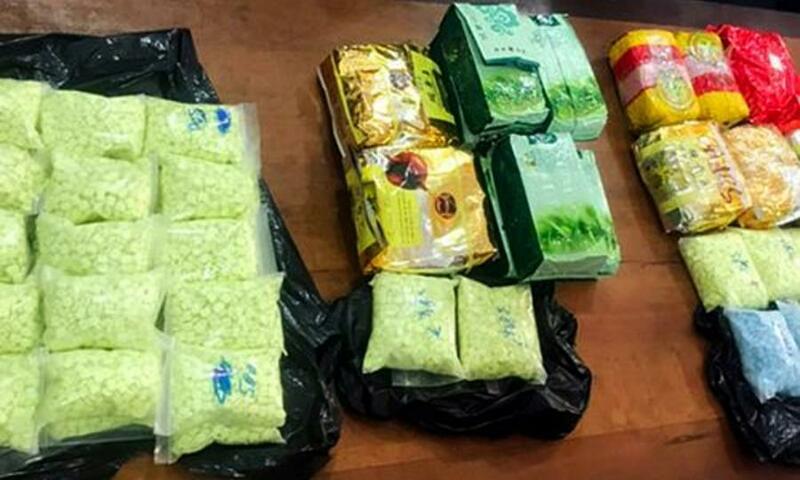 (MENAFN - Asia Times) Five people were arrested in Vietnam on April 13 after being accused of having links with a drug syndicate trafficking illegal substances from neighboring Cambodia. Vietnamese police and border guards at An Phu in An Giang province stopped a car and found eight kilograms of ecstasy pills and 18.2 kilograms of methamphetamine, the VN Express reported. Trinh Cong Nghia, 41, and Du Quoc Cuong, 29, were arrested at the scene. Cuong later admitted that a Vietnamese man named Phuong in Cambodia had paid him to take the drugs to Ho Chi Minh City. The next day, Nguyen Thanh Hai, 41, Nguyen Thanh Phuong, 52, and Tuyen Khoa, 33, were arrested in Ho Chi Minh City. Officers found one kilogram of meth and 6,850 ecstasy pills during the arrest. The three men also tested positive for drugs. After the investigation, police came to the conclusion that the gang had transported the narcotics via the Mekong Delta from Cambodia. A police chief in Ho Chi Minh City had previously warned that the city was on its way to becoming a hub for drug trafficking thanks to its favorable transportation and logistics infrastructure.